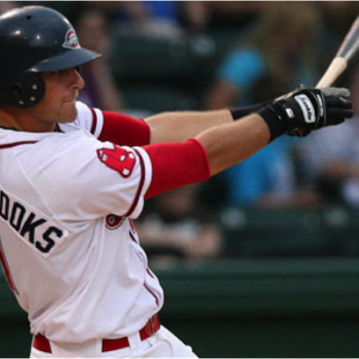 When you come to a Drive game, you’ll see the highly competitive Class-A affiliate of the Boston Red Sox and maybe even a future MLB star or two. But what you’ll feel—and experience—is pure magic. In a minor league ballpark crafted to resemble historic Fenway Park (complete with Pesky’s Pole and its own Green Monster), families spread out blankets along the third base line, kids wear their ball gloves in the often-realized hope that they’ll catch a foul ball, and the peanuts, popcorn and ice cold beer taste like heaven. Attending a Drive game is like stepping back in time to the days when players played for the love of the game, and the fans loved it even more. 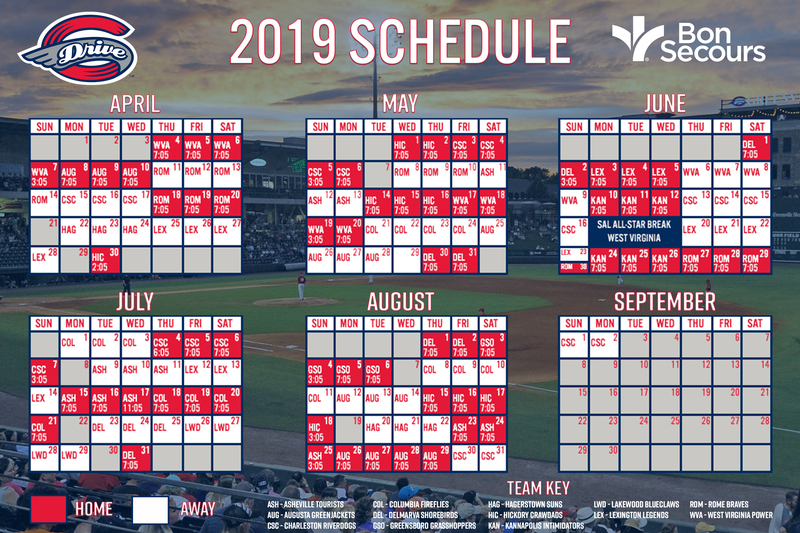 This is our nation’s pastime at its very best—and it’s all conveniently located in downtown’s historic West End at the 5,900-seat Fluor Field. 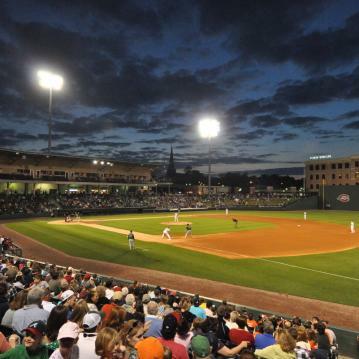 Fluor Field at the West End is the perfect place to host your next, unique event.